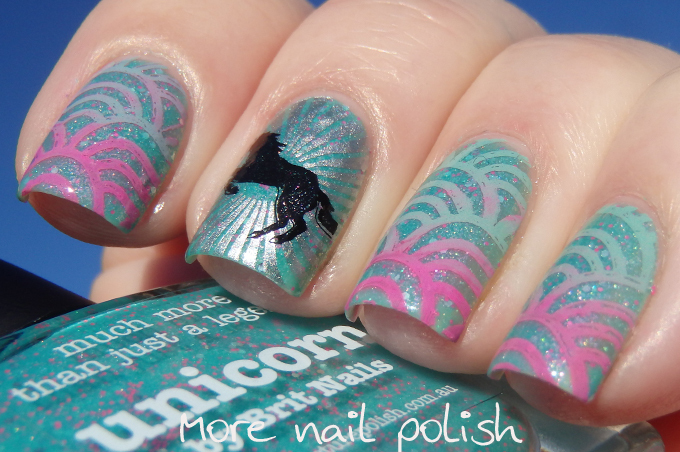 With a polish name of Unicorn, how could I resist doing Unicorn nail art? 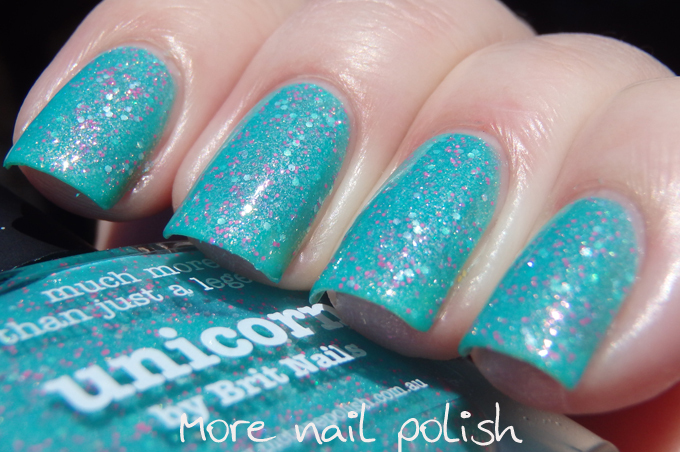 Unicorn is one of Picture Polish's latest collaboration shades, this one is with Brit Nails. Have you guys seen Allie's gorgeous nails? If there were a world record for the longest nail beds then I'm sure she would win! 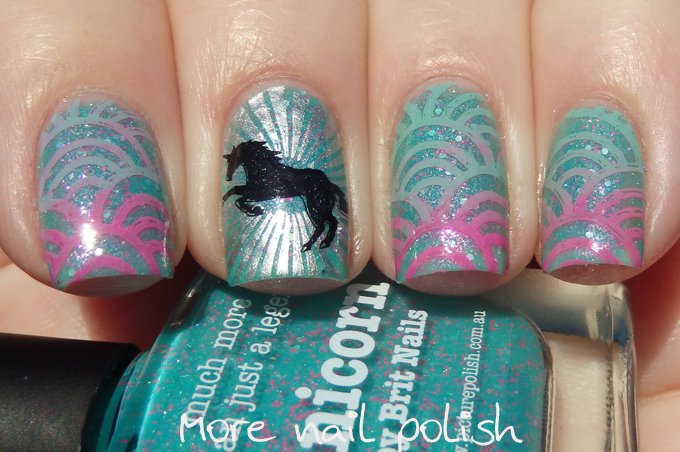 I did a gradient stamp using pink and aqua polishes over the top of Unicorn. 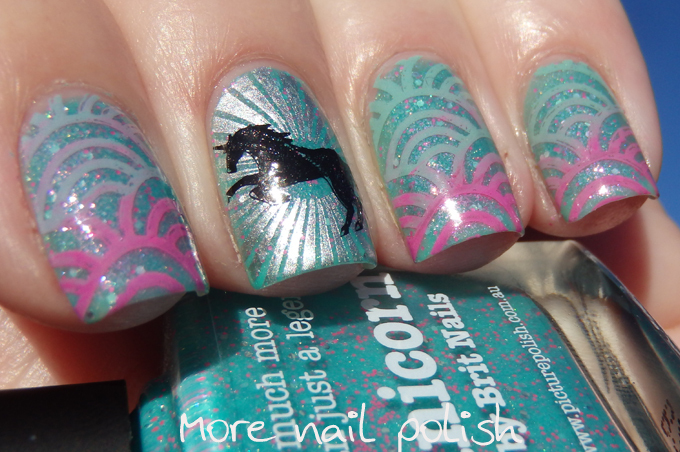 On my middle finger I stamped with silver and then a black unicorn. 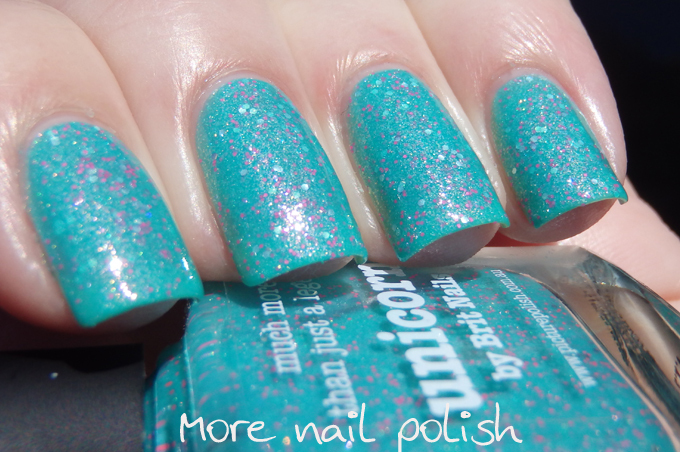 Here are some swatches of Unicorn on it's own. Funny thing is, on it's own I wasn't able to capture the colour correctly. The colour in the nail art photos is much more accurate than the colour showing below, which is just a tad too blue. This is a really pretty mix of glitters and shimmers and it applies nice and smooth, just like you expect from Picture Polish shades. 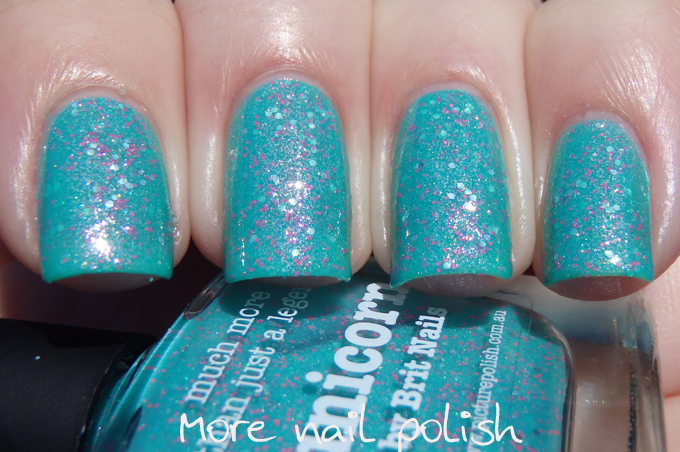 Picture Polish Unicorn is available from Picture Polish. International ladies can purchase through one of the many Network stockists. Oh my... that color is STUNNING. 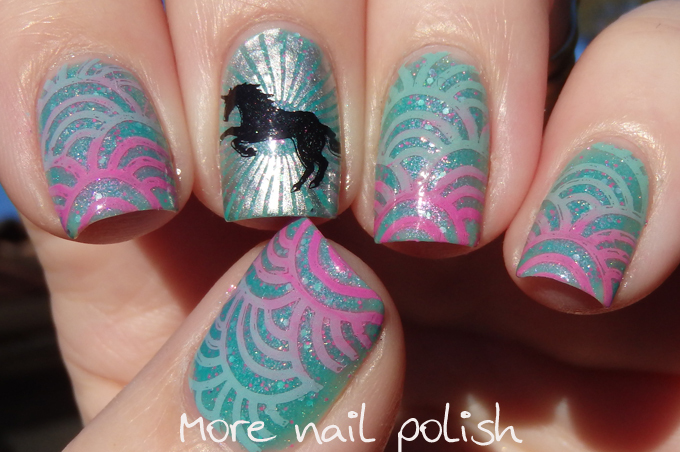 I love this so much, thank you for using my shade in such pretty nail art!